Mitchell Taras practices in the firm’s Real Estate and Corporate Groups. He represents clients in a variety of complex real estate transactions, including acquisitions, dispositions, financing, construction, leasing and joint venture negotiations involving apartment buildings, shopping centers, hotels and office buildings. Mr. Taras has represented both borrowers and lenders in mezzanine lending, securitized loans, and secured and unsecured credit facilities. He has also represented owners in connection with construction contracts and disputes. On the corporate side, Mr. Taras counsels proprietorships, franchisees and other closely held businesses in their day-to-day operations. 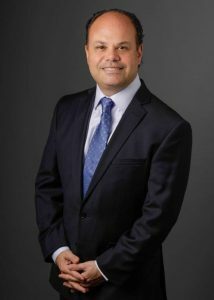 The New York corporate attorney also has extensive experience in structuring, negotiating and implementing various business transactions, including sales of assets; mergers and consolidations; acquisitions and dispositions of companies; joint ventures; business restructuring and reorganization; and preparation of employment, shareholder, partnership and limited liability company operating agreements. With his broad experience, he also serves franchisees, entrepreneurs and other clients in a diverse range of industries.